FRANKFURT (Reuters) -- Porsche SE has warned shareholders it could be forced to return "economic benefits" from a failed takeover of Volkswagen if former board members are convicted, the company's quarterly report said. 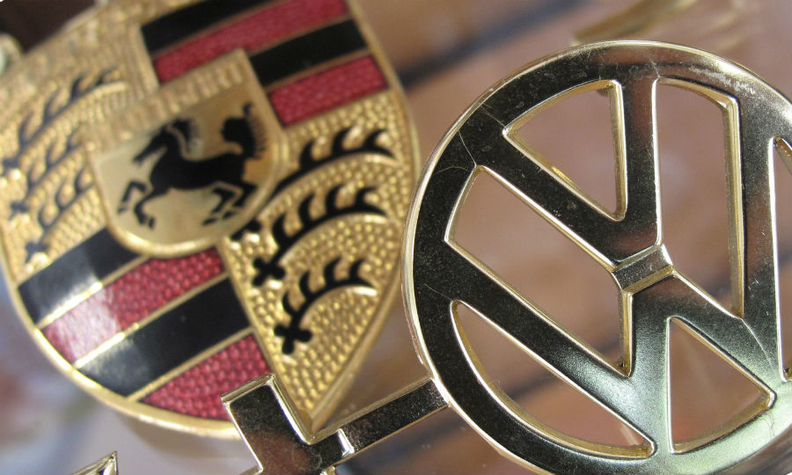 In 2008, Porsche SE attempted to gain a 75 percent stake in Volkswagen by accumulating shares in stages, including through the use of derivatives. The prosecutor's office in Stuttgart, where Porsche is based, has sought to bring charges of market manipulation against former Porsche CEO Wendelin Wiedeking and his former finance chief Holger Haerter, alleging they made false public statements during the takeover attempt. The defendants' lawyers have denied any wrongdoing by their clients. Porsche's quarterly report this week said a conviction of the executives may have financial ramifications for Porsche SE. "In case of conviction of the former board members of the executive board Dr. Wendelin Wiedeking and Holger P. Haerter, the Regional Court of Stuttgart could impose a fine," it said. "A possible economic benefit obtained by Porsche SE from the alleged criminal offense of the former members of the executive board could be confiscated," the report said, adding it considers all allegations made in the aforementioned proceedings to be without merit. Investors have accused Porsche's former top management of pursuing plans to take full control of much larger VW far earlier than they had disclosed, while making public statements to the contrary. In March 2008 for example, Porsche dismissed as "speculation" media reports it intended to take over VW. Seven months later, Porsche disclosed it had options giving it control of almost three-quarters of VW, sending its shares higher and forcing short-sellers to race to buy back stock they had borrowed, betting that VW shares would drop. "We are examining whether there was market manipulation," a Stuttgart Prosecutor's office spokeswoman said on Friday. Stuttgart prosecutors want to explore whether Porsche's failure to disclose the ownership of a package of Volkswagen derivatives amounts to misleading the market. A spokesman for Porsche SE rejected the allegations. According to disclosure laws at the time, Porsche was not obliged to reveal it owned the derivatives package, he said. Stuttgart prosecutors say in addition to a fine, the courts could force Porsche SE to return additional economic benefits gleaned from the takeover tactic. The Financial Times first reported Porsche SE may face additional legal risks. The paper said hedge funds suing Porsche allege in court documents that Porsche received a cash inflow of over 5 billion euros due to unwinding some of the derivatives. Porsche declined to comment on that figure. Wiedeking's maneuvers to take over Volkswagen ultimately backfired, and pushed Porsche near bankruptcy. Instead of taking over Volkswagen, Porsche ended up seeking a rescue from VW, and selling its sportscar business Porsche AG to the carmaker.